Bob Reynolds is refocusing Putnam's [profile] parent's U.S. business on just three units. Greenwood Village, Colorado-based Great-West Life & Annuity Insurance Company (the U.S. arm of publicly traded, Power Financial-backed, Winnipeg-based Great-West Lifeco) has agreed to sell most of its individual life insurance and annuity business to Birmingham, Alabama-based Protective Life, Reynolds confirmed yesterday. Yet Great-West's giant U.S. retirement plan recordkeeping business (Empower Retirement), its multi-manager U.S. asset management business (Great-West Investments), and its proprietary U.S. asset management business (Putnam) are not part of the deal. "This transaction allows us to focus on the retirement and asset management markets in the U.S.," states Paul Mahon, president and CEO of Great-West Lifeco. "We will continue to focus on Empower Retirement and seize the opportunity to further advance our leadership position in the expansive retirement services market," states Reynolds, CEO of Great-West Life & Annuity and president and CEO of Putnam. Protective, a wholly owned subsidiary of Japanese multinational Dai-ichi Life Holdings, will buy (via reinsurance) Great-West business that includes BOLI, COLI, individual annuities, single premium life insurance, and more. Goldman Sachs advised Great-West on the deal, while Morgan Stanley advised Protective. Eversheds Sutherland provided legal counsel to Great-West, while Willkie Farr & Gallagher did the same for Protective. The Great-West Lifeco team expects to bring in about $1.2 billion from the deal after taxes. The deal is expected to close in the first half of 2019. 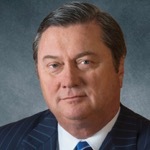 Putnam had more than $160 billion in AUM as of the end of 2018.